Today is the halfway point of my second Whole30 and I have a confession to make. I am not pursuing a perfectly compliant Whole30 this time around. Now, the hard-core Whole30 veteran in me HATES admitting this. Because I don’t want to cause my brothers and sisters to stumble. And because I know that some of my friends are doing their first Whole30 and I want them to reap all the benefits and all the non-scale victories that come with strict adherence to Whole30 compliance. The truth is that, if this is your first Whole30, and you don’t follow it completely with no cheats, there is a strong chance you will not experience the benefits promised. You may reap some — but not all — of those precious, non-scale victories, and conclude a month of hard work and great sacrifice only to find yourself underwhelmed and disappointed because it seemingly “didn’t work” for you. The Whole30 creators would say, “if it didn’t work for you then you probably didn’t do it as instructed.” I believe in this hard-core mentality. As a life-long dieter I KNOW about the secret cheats. The “oh, this one little taste wont hurt” or “just this once” or “it was a hard day” or “i deserve this” and with the Whole30, to REALLY get what is promised, you just CANT roll that way. If you are slaying your sugar dragon, if you have pain you are hoping will subside with a change of diet, if you want the glowing skin and better night’s sleep, you really must be 100% compliant in order to experience the results you want. I know this because I was 100% compliant in January, and while I didn’t get to Tiger Blood status until around day 22/23, I GOT THERE and I know it’s because of strict adherence to the rules. So why not go for 100% compliance for Whole30 #2? After completing a perfect Whole30 in January, I spent February reintroducing some of the foods I had eliminated to see how I reacted. I did not reintroduce everything, I have not had a coke or cream in my coffee all year, but I did try some grains, some dairy, some gluten and some sweets. Both my husband and I had birthdays in February, plus Valentine’s Day, so I moved through February eating what I would call an 80-20 diet, 80% Whole30/Paleo and 20% not. What I learned about myself during this time is what led me to my non-perfect second Whole30. Despite intentional cheats (e.g. donuts on Valentine’s Day) I still lost weight in February with my 80-20 approach. But it wasn’t as much as I lost in January, which is no big surprise. But I have specific weight loss goals and have a lot to lose, so at the end of February I decided to jump back into Whole30 compliance in order to continue down a path to weight loss, and I intend to stay Whole30 compliant until I reach my weight loss goals. Well, 95% Whole30 compliant. In February I began reintroducing dairy. I started with cheese because it’s my favorite food. I had no problem with sheep’s milk or goat’s milk cheese at all. I also did fine with Monterey Jack melted in the form of Queso Fundido (OMG THIS IS SO GOOD). I DID react poorly to pre-packed shredded cheese, which led me to believe that I was really reacting to the processing ingredients. So I just buy blocks of cheese and grate it myself which is much cheaper and promotes eating much smaller portions of cheese. So on this March Whole30 I am allowing myself SOME cheese. I only use Israeli sheep’s milk feta (AMAZING) on salads and Parmigiano Reggiano in soups and once I used it in a spaghetti squash carbonara. I would estimate that 1% of my diet this month has consisted of cheese. So while this is a break in the “rules” it’s not hindering my progress. I can tell I am still losing because my clothes are starting to be too big (HOORAY) and I am also still going strong with the Tiger Blood and other non-scale victories. I took what I learned in February during reintroduction and decided that adding very limited amounts of cheese on occasion would not be a big deal for me. And so far it has not been. But I would NOT have known this if I hadn’t first completed a perfect Whole30 and reintroduced foods intentionally to learn these things about my body. I also want to point out that dairy is a tricky beast. While I had no problems with good quality cheese, I DID have HUGE problems with yogurt and sour cream. I had such severe reactions to those that I did not even attempt to reintroduce any liquid dairy, hence the no cream in the coffee. In February, I did have ice cream on my birthday and one Chick-fil-a chocolate milkshake, and the reactions were not quite as bad as the yogurt and sour cream but they were still bad. So I am staying away from all dairy except the specified cheeses. Now lets talk about that sugar dragon. There is so much to say about sugar addiction, I have tons of blog posts in my head that I just need time to write out. But for the sake of the confession I will share my sugar exceptions for my second Whole30. In February when I reintroduced sugar I had the head rush, my face felt numb, my legs started tingling, and I thought I was high. So maybe white sugar really is a drug! But other than the immediate effects of the sugar spike I didn’t experience any other negative responses, largely because the times I did have white sugar I had a very limited amount and surrounded the sugar indulgence with a boatload of broccoli and spinach, which I really believe helped. The indulgence in refined, white sugar, did not trigger any big cravings in me that I noticed (more on cravings later) but that could also be because I tempered the indulgence with the greens. I mean I literally ate a cup of broccoli before I ate my Valentine’s Day donuts. So on my current Whole30 I am NOT treating myself with anything like donuts or ice cream. But here is what I AM doing: I am not going out of my way to buy purely sugar-free bacon (GASP). If I could buy (affordable) sugar-free bacon within a 10 mile radius of my house I WOULD DO IT. But I have three babies ages 3 and under, and special trips to Whole Foods for Wellshire Farms are exactly that: SPECIAL TRIPS not something I can do weekly. What I do instead is buy organic, nitrite and nitrate-free bacon with less than 2% of added sugar. These are the packs of bacon that say 0 grams of sugar, but still have the word sugar in the ingredients. For my second Whole30 I AM OK WITH THIS. For your first Whole30 I DO NOT ADVISE THIS. Or if you have a crazy strong reaction to sugar or a vicious sugar dragon do NOT fudge on this. But I learned in February that I would be OK with the bacon that has so little sugar it doesn’t even register as a gram on the nutrition label. So food wise, the two places I am non-compliant are limited amounts of cheese and bacon that may have a TRACE of sugar. But these are the only areas where I am choosing non-compliance to the Whole30 rules. I am still doing bulletproof coffee, I am still making mayo and ghee, I am still eating eggs and sweet potatoes and spinach ALL THE TIME. And I feel GREAT. I still feel the Tiger Blood. And about the Tiger Blood, here is something I found very interesting. With my February reintroductions and intentional off-roading, I was curious to see if I would have the same kind of “carb flu” detox I had in January as I began my first Whole30. Guess what? NO CARB FLU in March! I think this is because I never totally reverted to bad eating in February. Like I’ve already said, I maintained an 80-20 Whole30 approach to food as I reintroduced things and had my special birthday/holiday treats. So going back on Whole30 just meant tightening up the 20%, therefore NO carb flu which was AWESOME. Two final cheats to admit and then I’m finished. One is that I stepped on the scale. The Whole30 folks wish we would all throw away our scales and never weigh again. I am all for this mentality except that I really do have a lot to lose, post-lots-of-babies, and want to achieve some very realistic and attainable goals. 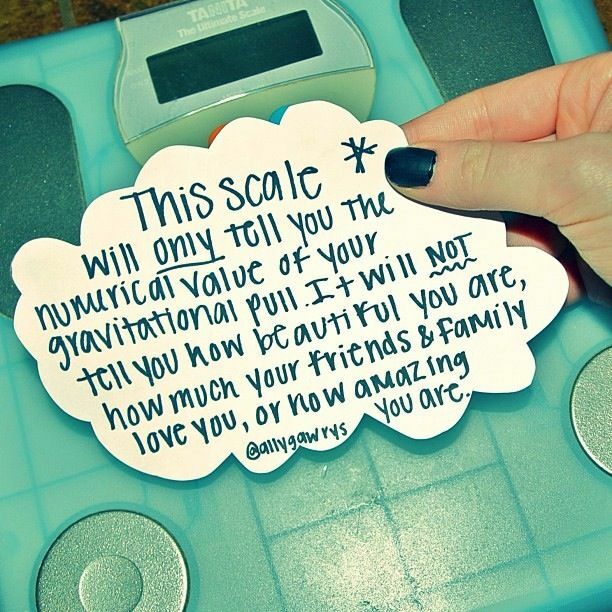 Weighing is also a motivator for me to stay the course. And that is the motivation I needed yesterday. I attended a baby shower for a very dear friend who is expecting her first baby in a few weeks. I knew that there would be a delicious spread of sweets for the taking, and I thought that by weighing myself beforehand, it would be a good reminder to not fall off the wagon. Weighing for this reason did help! I learned that I had already lost more weight, which was awesome, and before I left my dear husband commented that he could really tell I was losing which was even more motivation to stay the course. The shower was lovely and the food was what you would expect for a mid-afternoon tea… and nothing was Whole30 compliant or modifiable. I knew that it was unlikely there would be something I could eat here and remain compliant so it wasn’t that unexpected. In fact, I somewhat planned to allow myself a treat or two since this wasn’t my first Whole30 rodeo, I already proved to myself I could do it in January, and your dear friend only has her first baby shower once so if I want to eat a chocolate cupcake with her to celebrate, by darn it, I’m gonna do it. And here is the unexpected benefit of slaying the sugar dragon. When faced with these delectable afternoon delights I genuinely and sincerely felt completely in control of the situation. From the sweet spread I took a white chocolate covered strawberry, a strawberry tart, a ham biscuit, a smoked salmon bite on whole wheat cracker, and a CHOCOLATE CUPCAKE. I sat down with my treats and started at them. The great chess match had begun and I was deciding my first move. I sat next to a friend who is pregnant who graciously taste-tested the treats to let me know which would be worth the cheats. (That’s a good friend ;)) So I ate the two strawberry treats, the salmon cracker, and the ham off the biscuit (not the biscuit). I drank water and hot tea with no sugar or cream. So far so good, no big head rush or anything and not too much of a cheat (at least they were strawberries under the white chocolate and sugar glaze). Then it was do or die time with this cupcake. 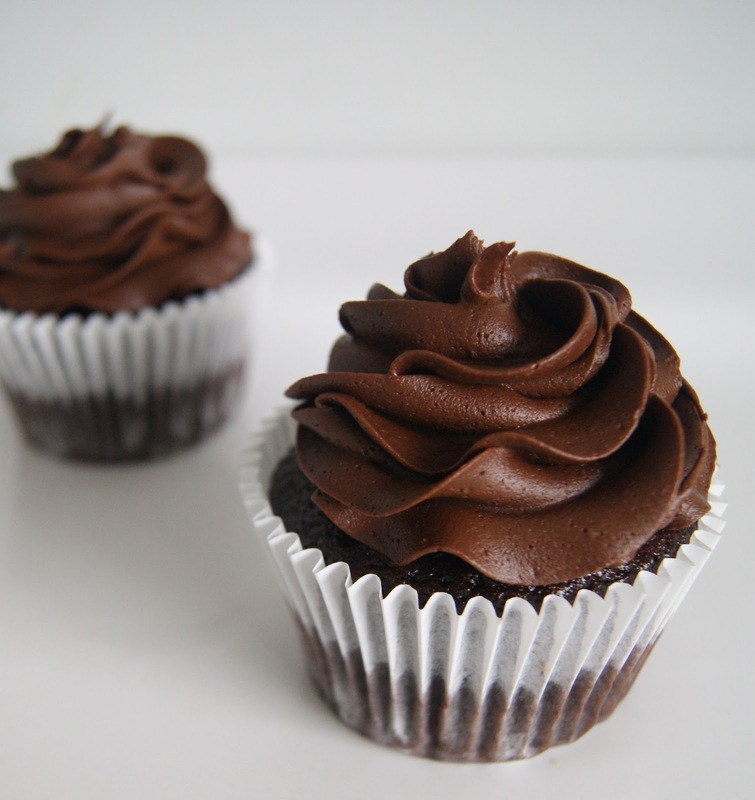 This perfectly beautiful chocolate cupcake. I cut that baby in half and told myself I would eat only the half. I took a bite and it was good. It was totally worth it. And then it hit me. CRAZY SUGAR HIGH. Yall. I felt my face going numb and my legs were tingling and I felt like my cheeks were burning. I am NOT joking. I still dutifully finished my half but DANG I did not want the other half. I had no idea sugar did that to me. I did not buffer my sugar intake that day with some broccoli either. Perhaps if I had downed a few spears before heading to the shower I wouldn’t have reacted so severely. But in any event. now I know that if I am going to eat some decadent refined sugar delicacy I need to make it count! Finally, a word about cravings. There was one thing that triggered CRAZY cravings in me and this one thing is gluten. Other than some bread with my birthday dinner and the Valentines donuts, the only real gluten heavy meal I had in February was pizza. Brian and I LOVE homemade pizza and used to make it all the time. We are serious about our pizza and rarely buy it out anymore because we believe we have perfected it in our own kitchen. Our pizza is without additives and includes only the freshest, nitrate and nitrite free ingredients. But that white flour yall. It did me in. The cravings elicited by that one meal lasted for DAYS. This is so sad because we so adore our pizza. Perhaps down the road once I get to a healthy weight and have maintained it, I will experiment with healthier crust options. But for now I know, if I am going to indulge in pizza, expect it to work against me for days. You see how much you can learn on the Whole30? But again I passionately reiterate that I would NOT have known these things about myself if I had not started with a 100% compliant Whole30 and systematically reintroduced foods to discover these things. Now that I am into my second, mostly compliant Whole30 (98% compliant) I know why I am doing it and know where and how to give myself some freedom to bend the “rules” a bit. The truth is that I like being the boss of my food. My whole life its been the other way around. Now, armed with my new understanding of how my body responds to food, I can confidently make good choices and not feel deprived, which is the best non-scale victory of all! To read more about my first Whole30 click here! This was extensive and certainly relatable. I’m always open to nutritional advice. Keep up the good work.